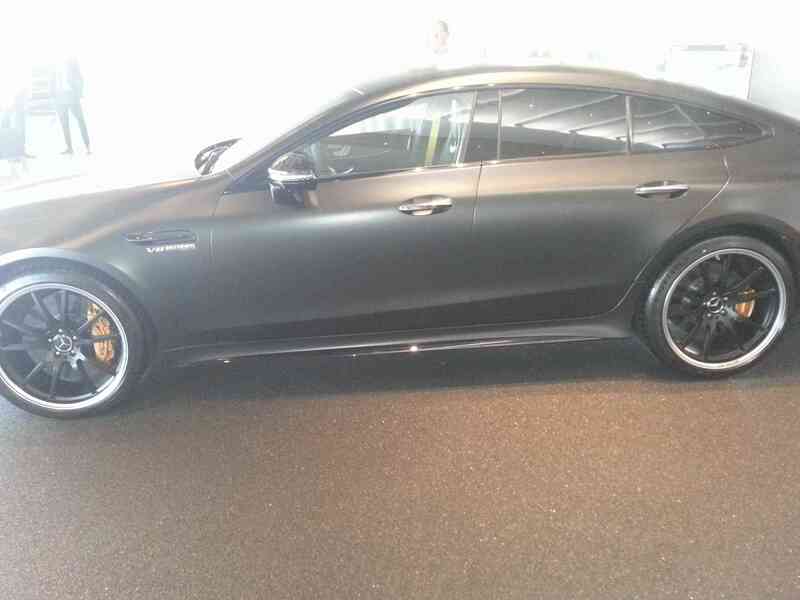 Submitted by eahines on Tue, 2018-11-06 16:54. 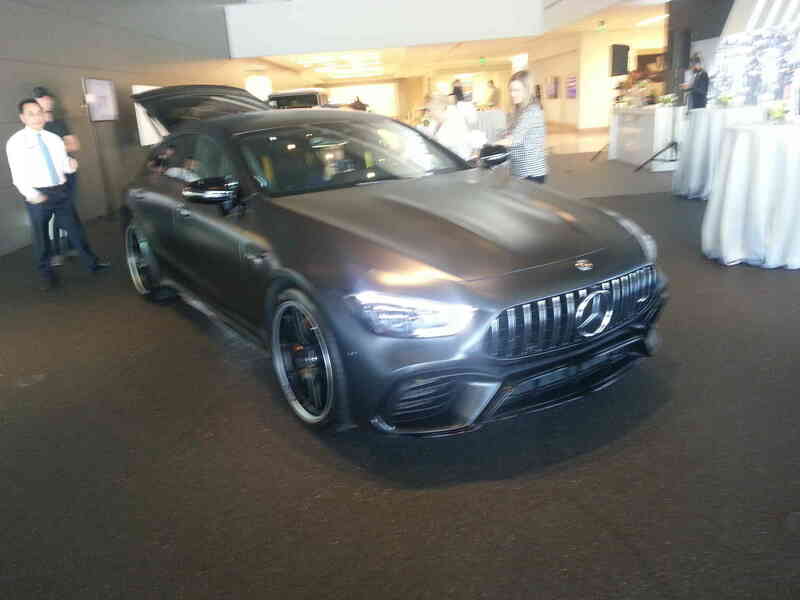 On Monday October 29th The Houston Section had the unique opportunity to take a one day only sneak peek at a pre-production model of the new 2019 Mercedes-Benz AMG 4-Door Coupe. 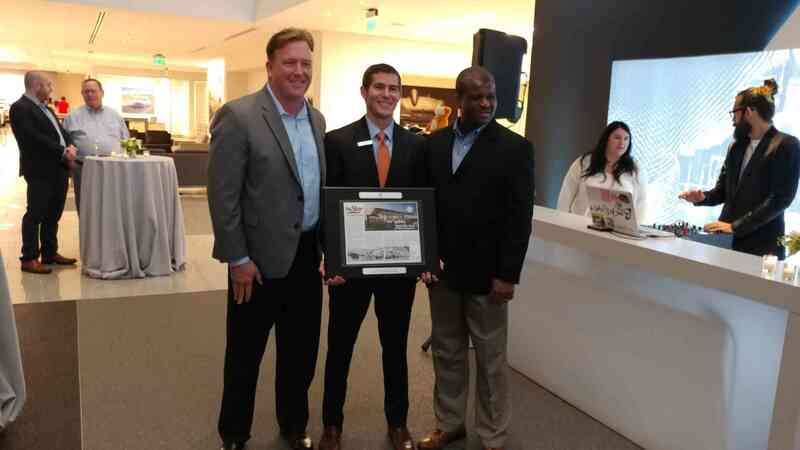 The preview was held at Mercedes-Benz West Houston. 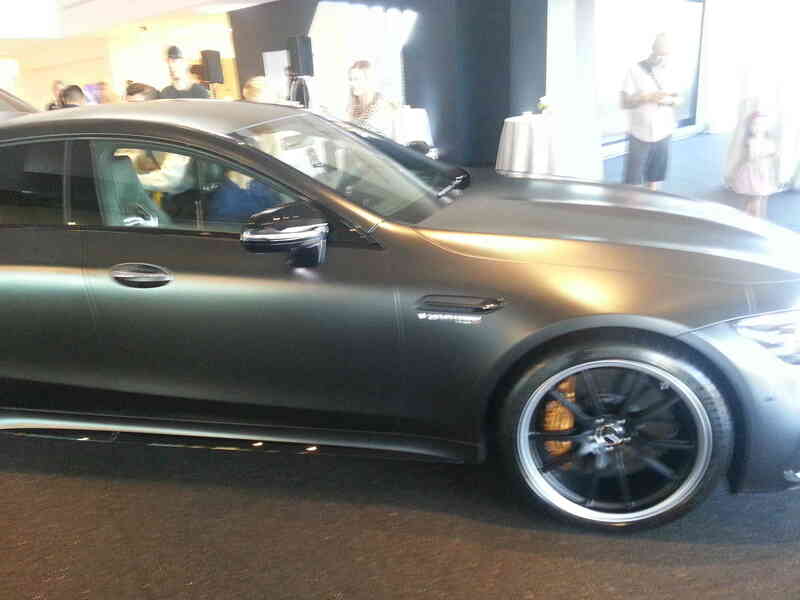 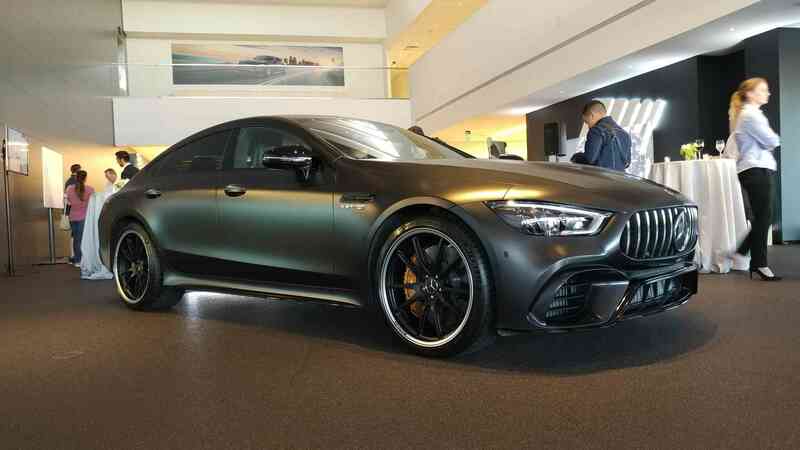 The AMG GT63S 4-Door Coupe was finished in matte black paint with black leather interior. 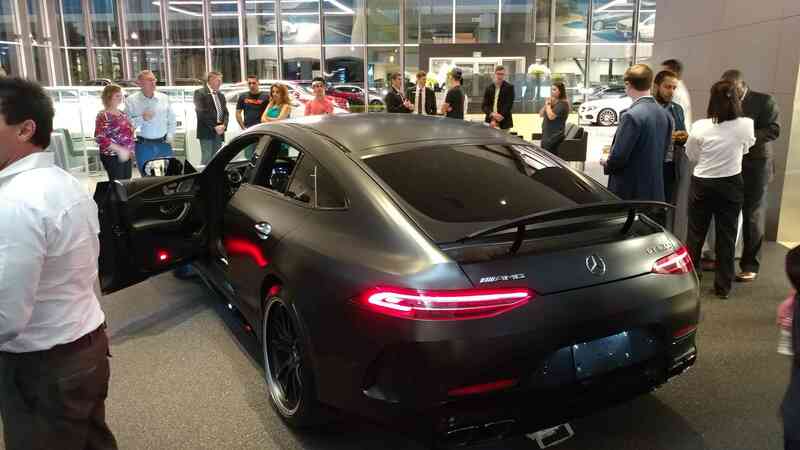 The twelve Houston Section members in attendance were given the opportunity to start the car and rev the bi-turbo engine.